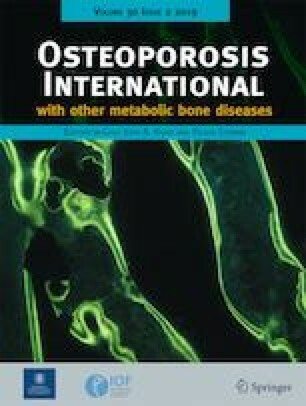 Bone modulus from patients with osteoporosis treated with bisphosphonates for 1 to 20 years was analyzed. Modulus increases during the first 6 years of treatment and remains unchanged thereafter. 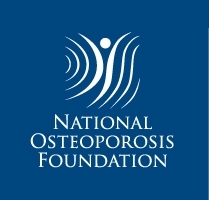 Bisphosphonates are widely used for treating osteoporosis, but the relationship between treatment duration and bone quality is unclear. Since material properties partially determine bone quality, the present study quantified the relationship between human bone modulus and hardness with bisphosphonate treatment duration. Iliac crest bone samples from a consecutive case series of 86 osteoporotic Caucasian women continuously treated with oral bisphosphonates for 1.1–20 years were histologically evaluated to assess bone turnover and then tested using nanoindentation. Young’s modulus and hardness were measured and related to bisphosphonate treatment duration by statistical modeling. All bone samples had low bone turnover. Statistical models showed that with increasing bisphosphonate treatment duration, modulus and hardness increased, peaked, and plateaued. These models used quadratic terms to model modulus increases from 1 to 6 years of bisphosphonate treatment and linear terms to model modulus plateaus from 6 to 20 years of treatment. The treatment duration at which the quadratic–linear transition (join point) occurred also depended upon trabecular location. Hardness increased and peaked at 12.4 years of treatment; it remained constant for the next 7.6 years of treatment and was insensitive to trabecular location. Bone modulus increases with bisphosphonate treatment durations up to 6 years, no additional modulus increases occurred after 6 years of treatment. Although hardness increased, peaked at 12.4 years and remained constant for the next 7.6 years of BP treatment, the clinical relevance of hardness remains unclear. Financial support from the National Institute of Arthritis and Musculoskeletal and Skin Diseases of the National Institutes of Health (R01 AR061578) and the Kentucky Nephrology Research Trust is gratefully acknowledged. Daniel Shaw Porter, PhD provided technical assistance and George Pharr, PhD and the High Temperature Materials Group at Oak Ridge National Laboratory provided advice. Jin Xie provided assistance with statistical analyses. Opinions expressed herein are those of the authors and do not necessarily represent the official views of the National Institutes of Health. All authors were supported by NIH-NIAMS Award R01 AR061578. HM was also supported by the Kentucky Nephrology Research Trust. David Pienkowski, Constance Wood, and Hartmut Malluche declare that they have no conflict of interest. This study was supported by awards from the National Institute of Arthritis and Musculoskeletal and Skin Diseases of the National Institutes of Health (R01 AR061578) and the Kentucky Nephrology Research Trust.